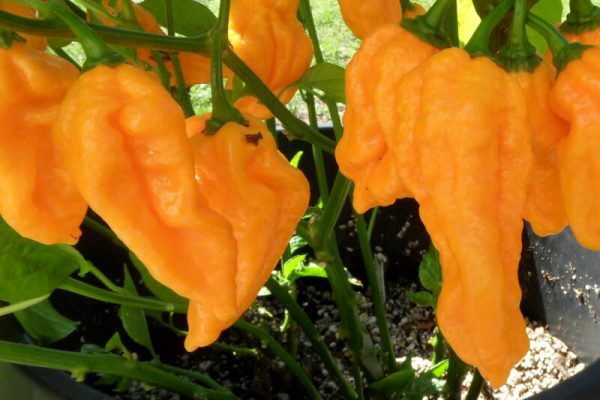 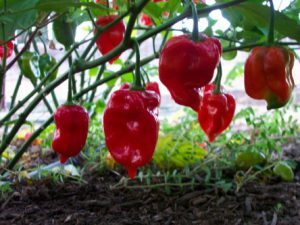 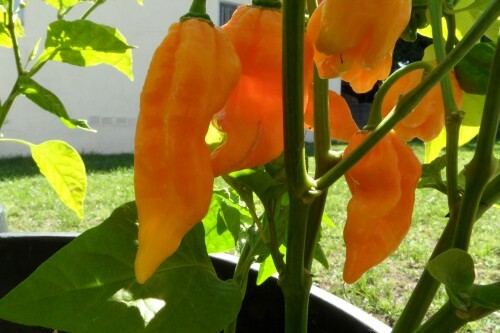 The Devil’s Tongue is a chile developed by an Amish farmer in Pennsylvania during the 1990’s. 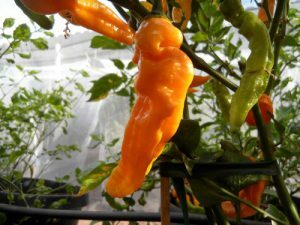 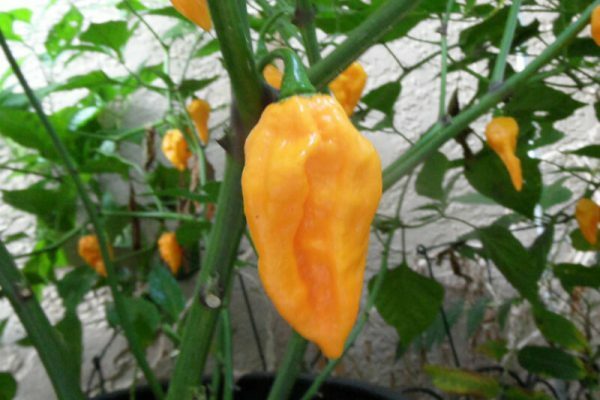 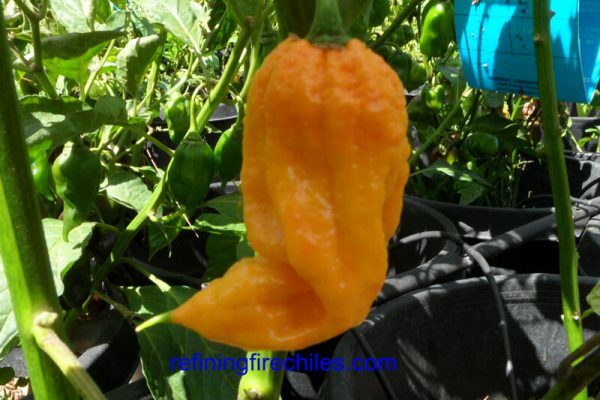 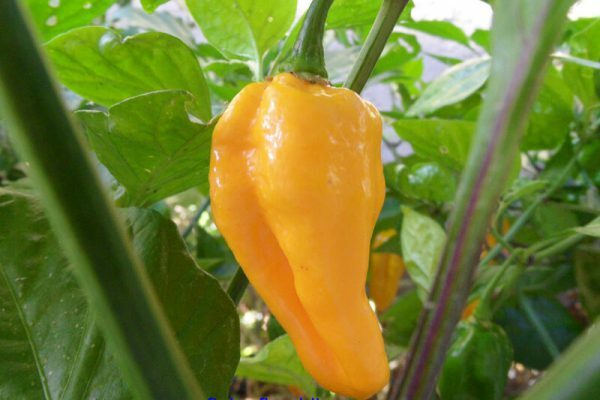 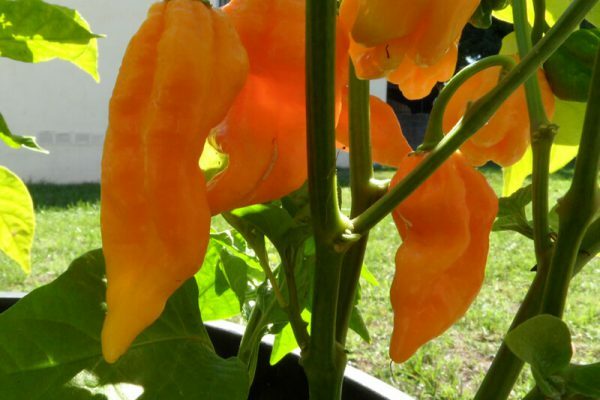 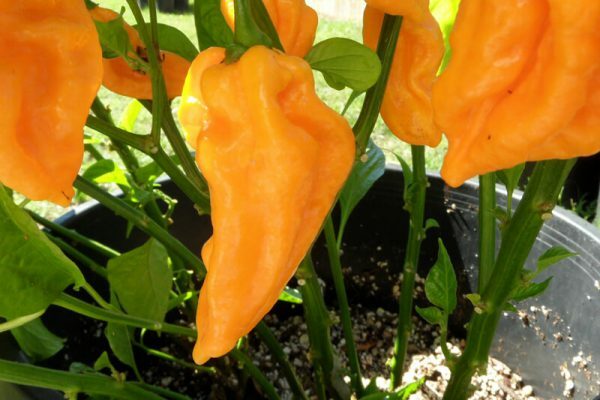 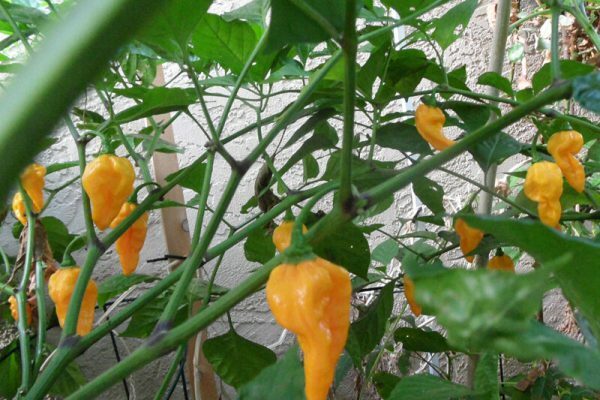 Similar to size, color and shape of Fatalii. 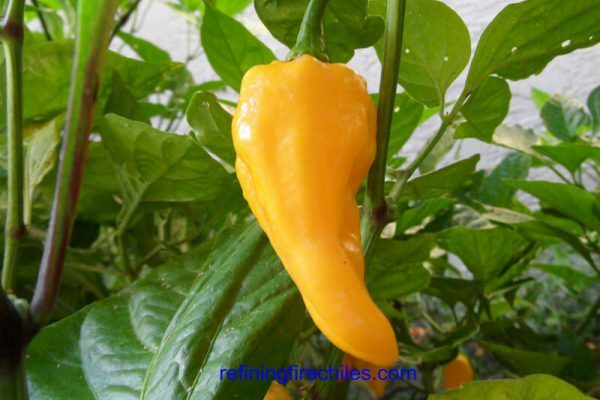 But skin is smoother and chile is smaller. 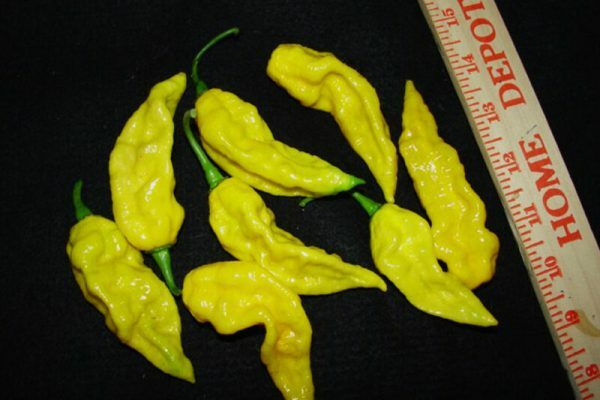 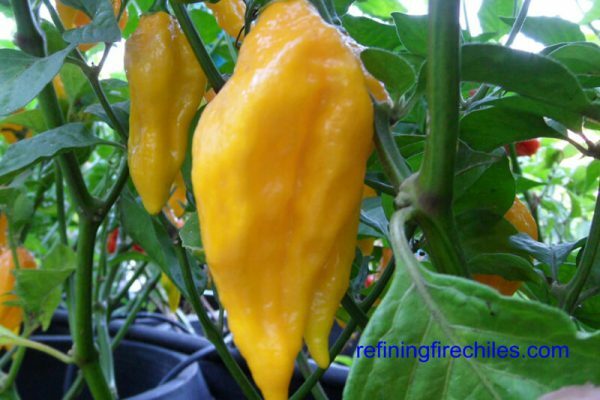 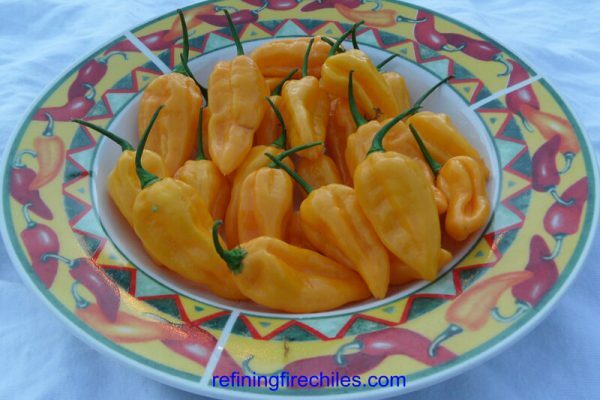 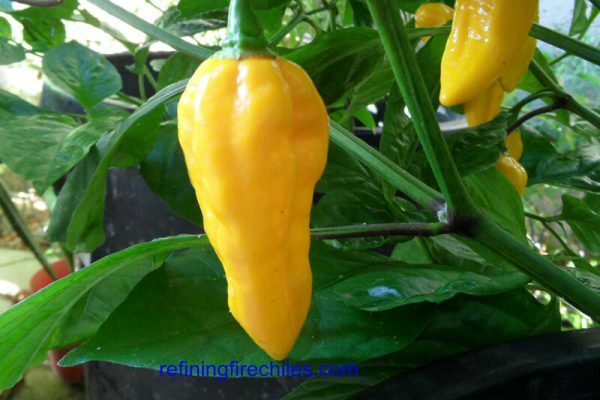 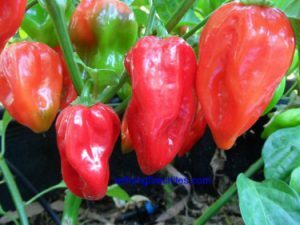 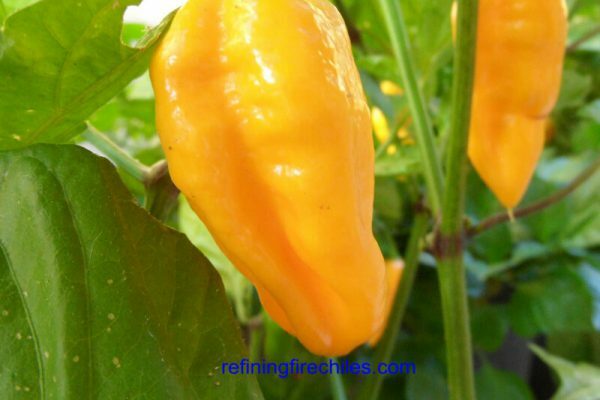 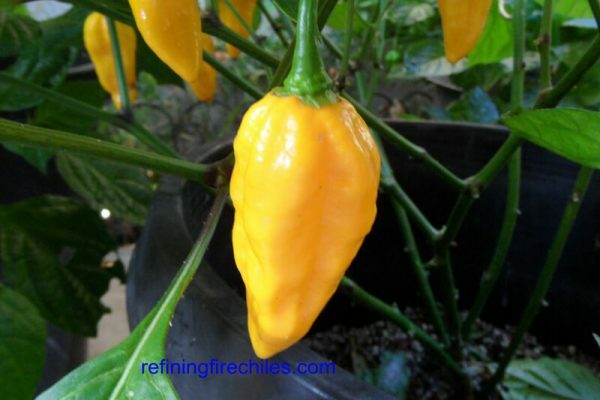 It has a higher heat level than Fatalii and more sweet fruity flavor while Fatalii is more citrus. 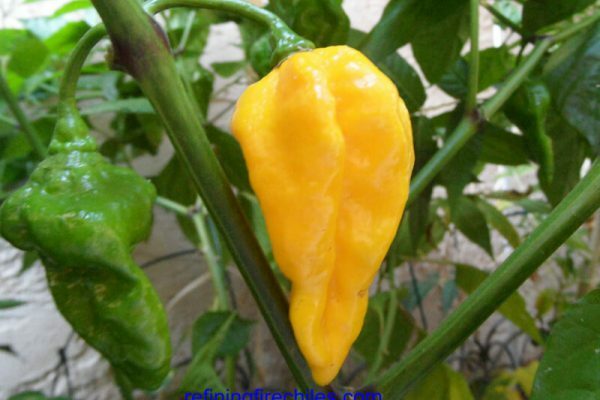 Pods mature from green to bright yellow. 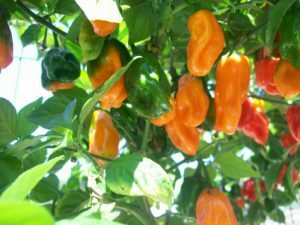 Plant is an abundant producer.